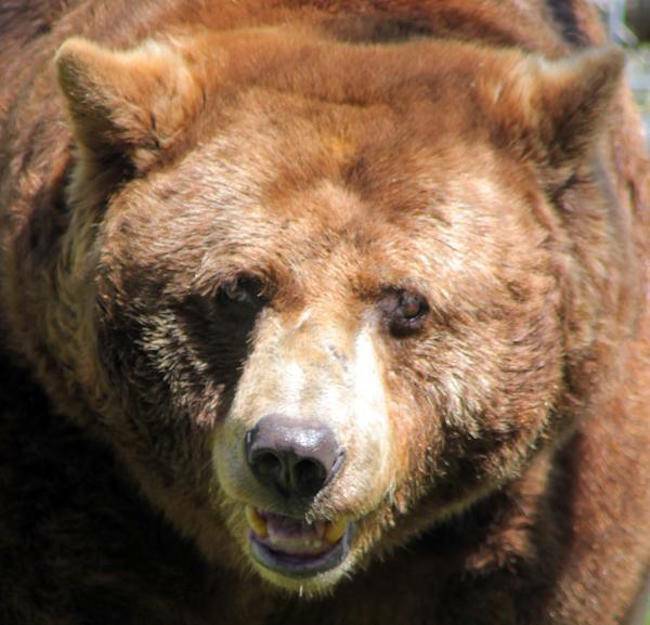 While we wish Arthur could have lived out his life as a wild bear, it has been our honor to love and care for him over these past 15 years. It's hard to believe it's been 15 years since Arthur, a black bear, arrived at PAWS! 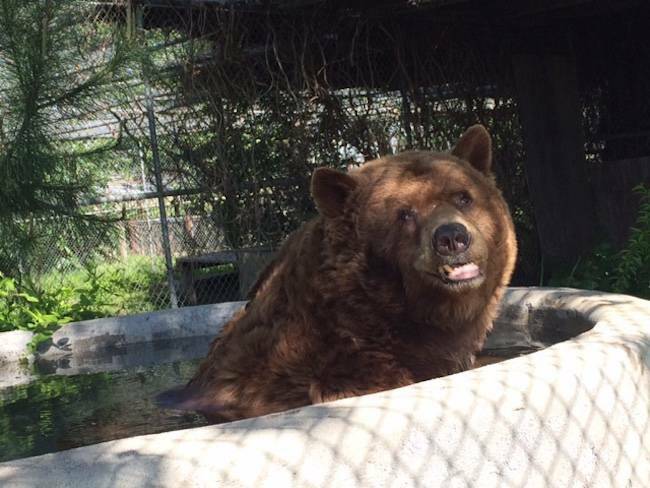 At age 25, he is the oldest bear at our sanctuaries. Arthur is a survivor. Born in the wild, he came to the attention of California wildlife officials because he had taken refuge in a culvert on a golf course where he was seen hobbling on three legs. After his capture, X-rays showed he had buckshot in his hips as a result of being shot. 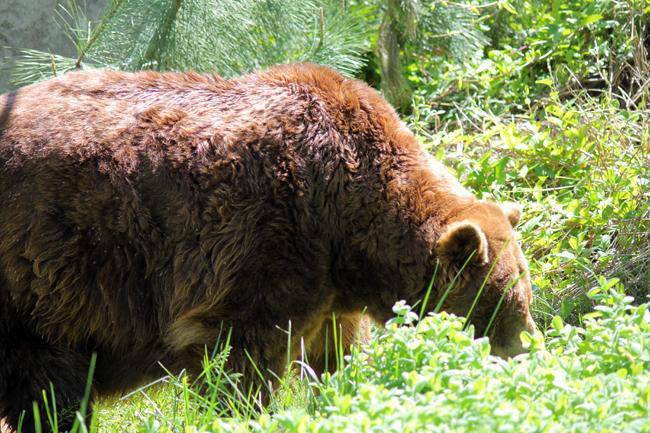 This special bear arrived at PAWS in March 2002, and he continues to enjoy his grassy habitat at our Galt sanctuary, complete with pool, pine trees and honeysuckle vines. If there's one thing Arthur loves to do, it's eat! Grapes, apples and oranges are his favorite treats. Arthur receives care for arthritis and the effects of the buckshot still lodged in his hips because it was too deeply embedded to safely remove. Special supplements and medications help keep him comfortable. Please share in Arthur's special anniversary by making a donation today.